Pearly Everlasting. Liveforever. Manzanita. Shooting Stars. I love the names, but I’m hopeless at identifying local plants. Luckily I hang out with people a lot smarter than me. Liz has been writing Plant of the Month on the trails council site for the last couple of years, and she’s accumulated an amazing amount of knowledge of the local flowers. 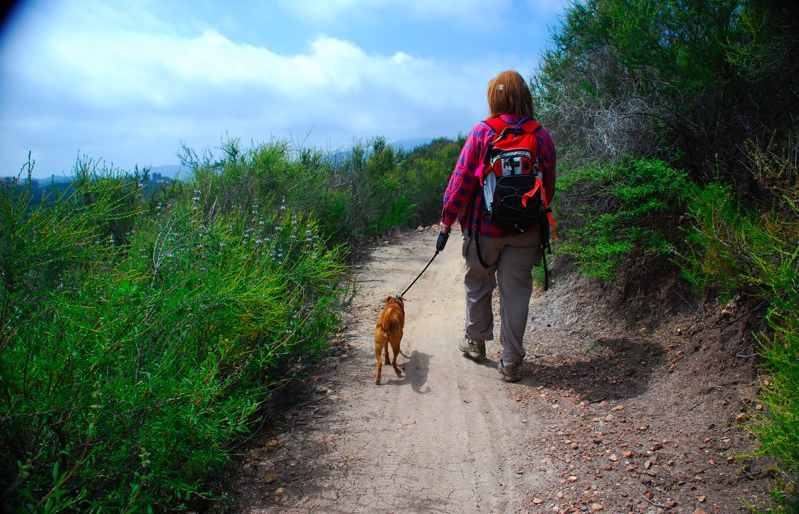 Probably the best way to learn more yourself is to go on an organized hike with the a group like the Conejo Sierra Club, or join one of our Saturday trail maintenance days. There’s usually at least one old hand who will happily tell you the story behind any of the plants. If you want some books to take on the trail I highly recommend buying Milt McAuley’s Wildflowers of the Santa Monica Mountains. He’s a local legend who started building trails here in the 40’s, and who was still leading trail work a few years ago when I first arrived. The other book to turn to is Nancy Dale’s Flowering Plants: The Santa Monica Mountains. She covers a lot of detail and it’s a lot easier identifying something with an alternative source. They haven’t figured out how to get internet access at the bottom of the canyons yet, but for when you’re back home Tony Valois has put together a very clear identification guide. 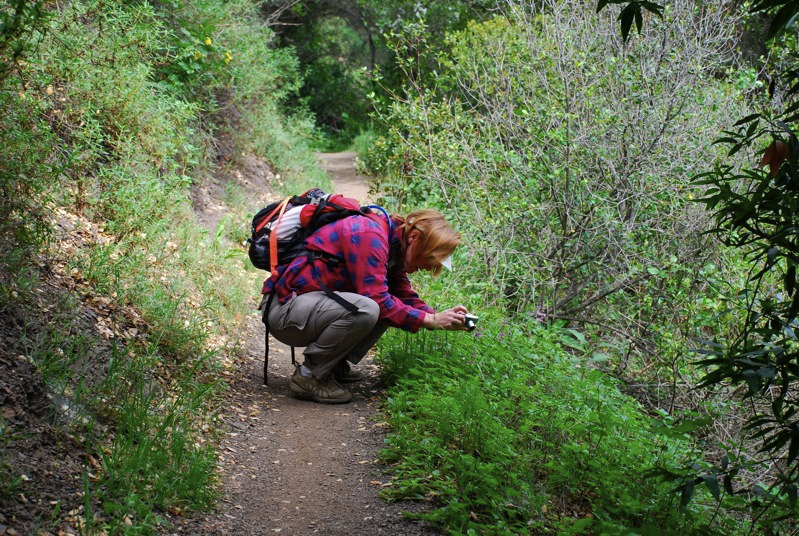 He’s done a great job with the navigation, letting you look through his collection of photos by appearance, common names and scientific names. With the recent sprinkling of rain, you’ll be able to see the best display for years, so don’t delay getting out there!